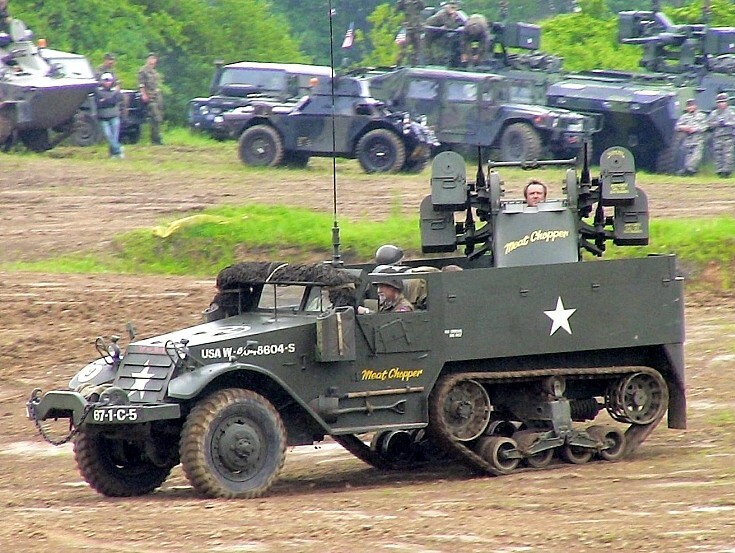 White half-track named 'Meat Chopper'with US Army registration USA W-4048804-S.
Generally speaking, when you see a "Quad 50", you automatically think M16 or M16A1 HT. This is not the case in all instances, as there are some very limited M2's, M3's running around with Quad 50's on them. Added by Timespanr on 27 February 2012.